Metta screwed up, and now she’s been boxed – sentenced to spend 57 years with her consciousness separated from her body in a neural retainer. It’s awful. Worse than anything she’s ever experienced. There must be some way out of this, right? Special thanks to R.E. Chambliss for producing today’s story, also to Bryan Lincoln, Christopher Munroe, Eric Kenny, Sgzhanke S. Carlo, The Tie-Dye Flipster, and R.E. Chambliss for lending their voices to today’s episode. Episode art photo courtesy Jamison Judd. Music was Cut And Run by Kevin MacLeod. 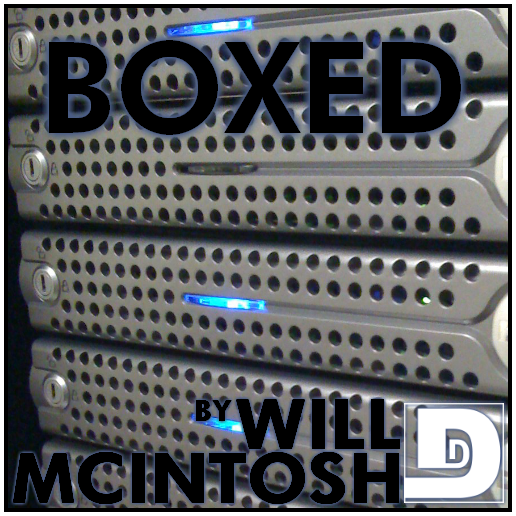 This entry was posted on May 30, 2012 at 10:42 am and is filed under Science Fiction, Short Story, Will McIntosh. You can follow any responses to this entry through the RSS 2.0 feed. You can skip to the end and leave a response. Pinging is currently not allowed. It was great to hear you guys so energetic and enthusiastic again. You do good work, and even the outtake song contributes to the beingness of the humanity. Seriously, good to hear you in such fine form. And the story! Not a dull moment — even the eternal dullness of the total isolation was conveyed in gripping fast-lane terms. The resolution, moreover, managed to be both deep and funny. The production, a topic that I often gripe about, was utterly perfect. The use of the effects, the pacing and harmony of dialogues, the overall feel… Just masterly. Inobtrusively bringing the atmosphere and the story forth, not a rough spot or annoying itch anywhere. It takes great skill to be able to produce such smooth, well-balanced dramatic audio. My deepest thanks for this episode. Worth waiting for. Thank you, Pirvonen. I’m glad you enjoyed the story and production. It was an unusual setting and situation so I wasn’t sure at first how to capture it in audio. Fortunately the writing and voice actors were so good that I didn’t feel like it needed a lot of production elements.